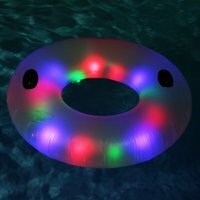 Light Up Your Night Swim! As July turns to August, we're coming up on the end of summer. But, the pool fun is not over yet! Sometimes your days can get hectic and you may not be able to make it out to your pool in the heat of the day. Why not swim at night? You can invite some friends over for a night pool party or take the kids out for a night swim! 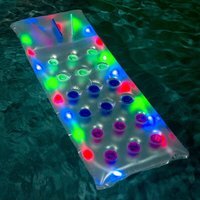 Here at ToySplash, we have some fun light up toys, rafts and accessories for your pool that will make night swimming a blast. 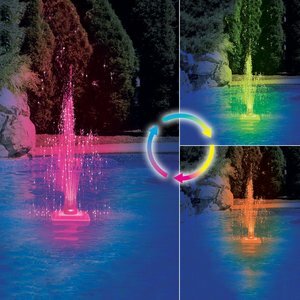 This LED Light-Up Pool Fountain is absolutely perfect to get the party started. Or you and your guests can simply relax to the subtly changing colors and the peaceful sound of the fountain hitting the pool water. You don't need any tools or devices to install this beautiful fountain. You can get this fountain for only $64.77! 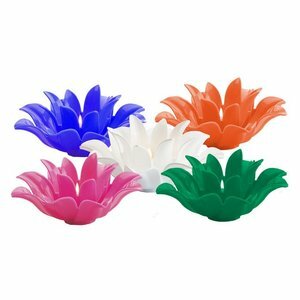 An extremely affordable option to light up your pool, are these Floating Flower Lights. They are only $4.95 per flower! 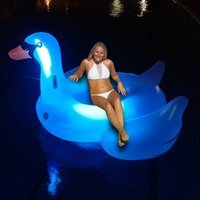 You just place them on the pool water and let them float and light up your backyard. They are lit by a votive candle so no worries about getting them wet inside. You can place a bunch in your pool or a few in your spa! 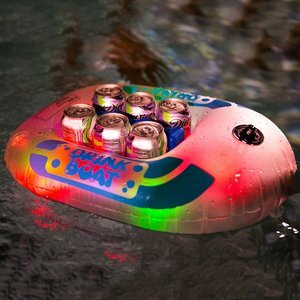 Float this Drink Boat around to all of your guests! Fill it with alcoholic beverages for the adults or juice for the kids! You don't even have to get out of the pool to get a cold drink. This float has a reusable freezer brick. The LED colorful lights have 3 modes: slow flash, fast flash or solid glow. Or you can choose to for-go the freezer brick and add chips and salsa to the float! Or simply float around on an LED raft, tube or giant swan! End Mosquito Bites...the Natural Way!